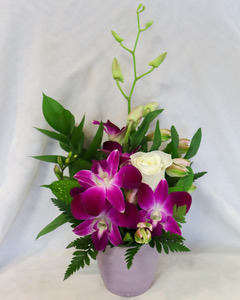 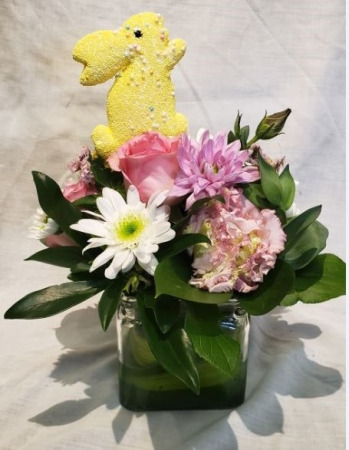 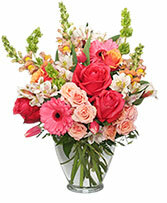 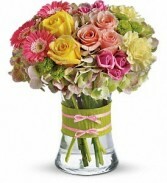 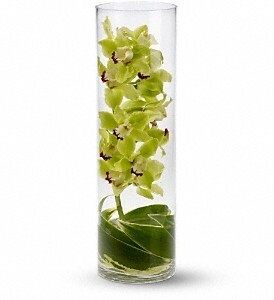 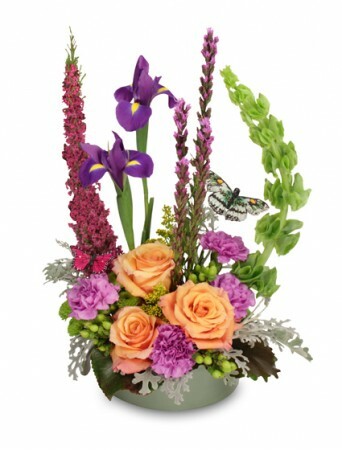 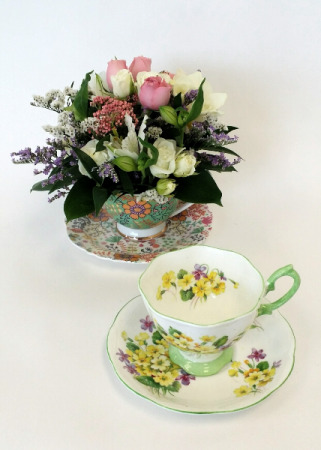 Gorgeous Green Hydrangea, Yellow And Light Pink Roses, Pink Spray Roses And Mini Gerberas, Light Yellow Carnations And Green Button Spray Chrysanthemums Are Delivered In A Pretty Gathering Vase. 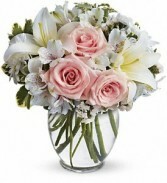 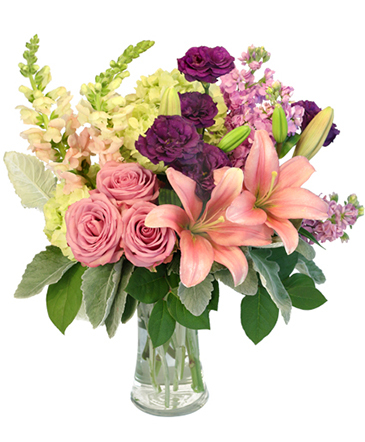 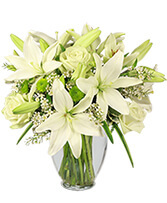 Light Pink Roses, White Asiatic Lilies, Alstroemeria, Cushion Spray Chrysanthemums And Statice Are Delivered In A Stylish Vase Style To Spare. 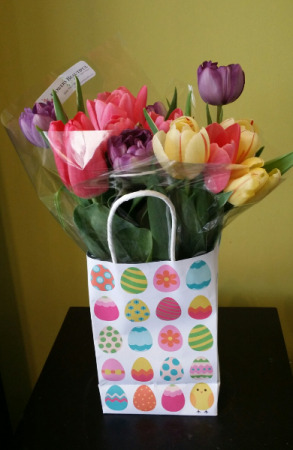 What says "Happy Easter" better than tulips? 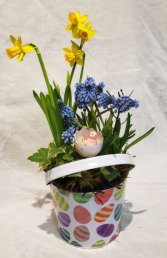 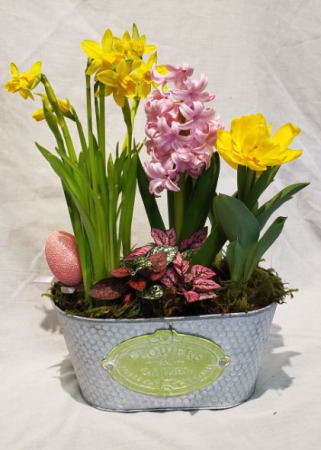 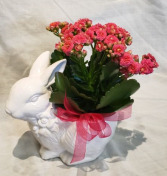 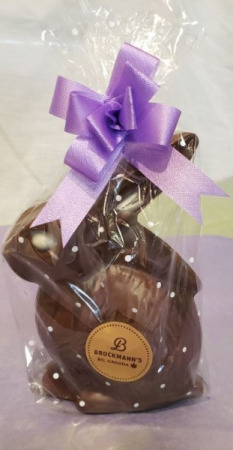 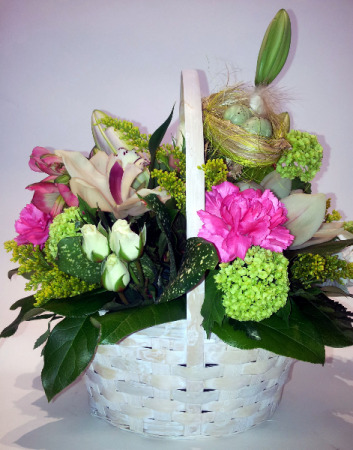 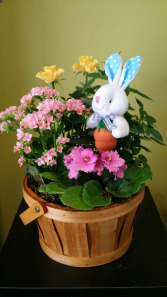 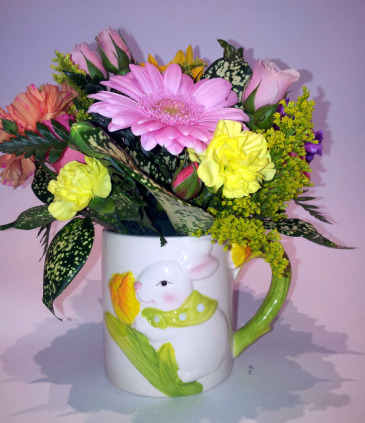 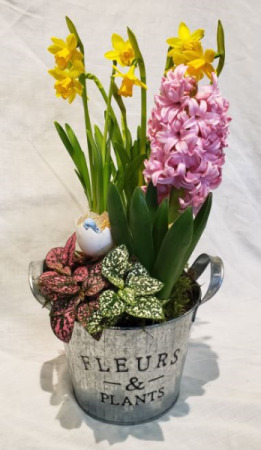 Get hopping this Easter and send a long lasting flowering plant basket.